Poland’s government is interested in establishing a permanent U.S. military presence in their country and they’re willing to pay for it. The Polish defense ministry said there is a “clear and present need for a permanent U.S. armored division deployed in Poland,” and is willing to provide financial backing to host the soldiers that could reach $2 billion, according to a copy of the proposal obtained by Polish news outlet Onet. The ”clear and present need” outlined in the document appeared to be sparked by Russia. “Establishing such a force is necessary to present an unequivocal challenge and deterrence to Russia’s increasingly emboldened and dangerous posture that threatens Europe,” the proposal reads. The document references the Trump administration’s 2017 National Security Strategy, which identified Russian aggression in Georgia in 2008 and in Ukraine in 2014 as a key threat to the United States and global stability. 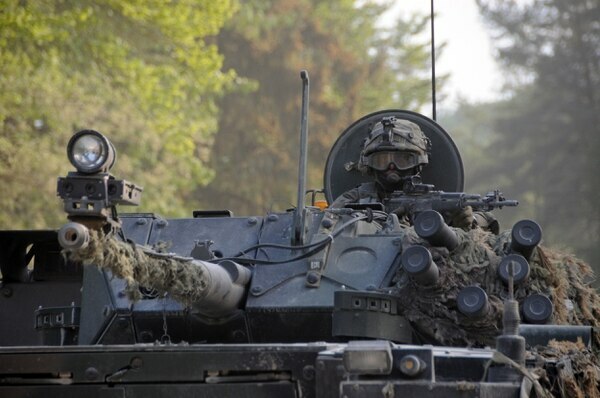 Currently, the U.S. Army has two combat brigades in Germany and Italy. In Eastern Europe, the U.S. Army maintains a brigade-size element through a rotational presence based in the United States but sent abroad on nine-month deployments. Poland’s offer isn’t necessarily revolutionary. Since the country joined NATO in 1999, its leaders have sought closer security ties with U.S. forces. 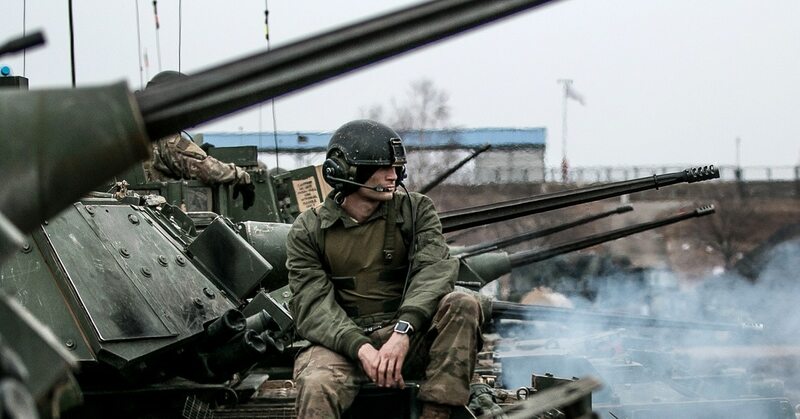 However, Russia’s annexation of Crimea and support to rebel forces in eastern Ukraine’s Donbas region seems to have added urgency to the effort. Pentagon officials were tight-lipped concerning whether the offer would eventually be accepted. Despite a $36 million budget for renovations of a former U.S. air base in Iceland, Navy officials retain current narrative that troops will not be stationed there. “No decision has been made, and the content of these discussions will remain private,” he added. The proposal’s public disclosure comes roughly a month before NATO leaders will gather in Brussels for a joint summit. Additionally, the overture towards the United States may spark a reaction from Russia, according to Kremlin Spokesman Dmitry Peskov. "In general, when we record gradual expansion of NATO military structure towards our borders ... this certainly does not contribute to security and stability on the continent in any way," Peskov told Tass, a Moscow-controlled news agency. As NATO allies, Poland and the U.S. military’s European Command, or EUCOM, maintain ongoing training commitments with each other. That commitment is “evidenced by the ongoing Atlantic Resolve exercise, which includes the movement of more than 80 tanks and 130 Bradley Fighting Vehicles from the port at Antwerp, Belgium, to Poland to exercise the ability to rapidly deploy forces across the theater,” Navy Lt. Cmdr. Joe Hontz, a EUCOM public affairs official, said in a statement to Army Times. The Polish defense ministry proposal lists the country’s regions of Bydgoszcz and Toruń as possible locations for the hypothetical U.S. armored division. Those regions were selected based on their proximity to ranges, infrastructure, accommodations, and morale and welfare options for U.S. troops. 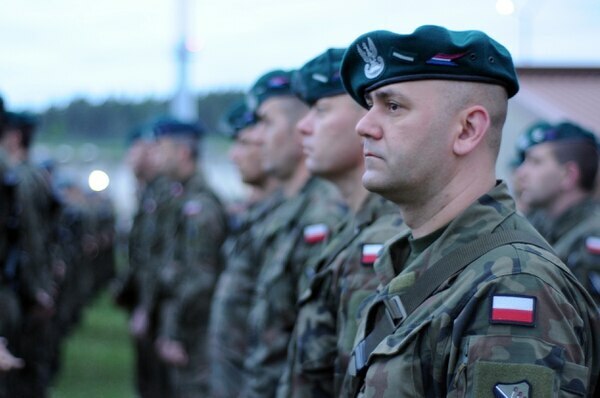 Additionally, NATO’s Joint Force Training Center is already headquartered in Bydgoszcz. This means that integration into the existing NATO command and control structure would hopefully be seamless, and should provide greater training opportunities to the troops there, according to the proposal.